Award-winning veteran Sri Lankan Film Director and Screenwriter Dharmasena Pathiraja passed away after a prolonged illness yesterday morning, while receiving treatment at a private hospital in Kandy. Pathiraja was 74-years-old at the time of his death. Born on March 28, 1947, in Peradeniya to a family of six, Pathiraja received his formal education at the Peradeniya Maha Vidyalaya. 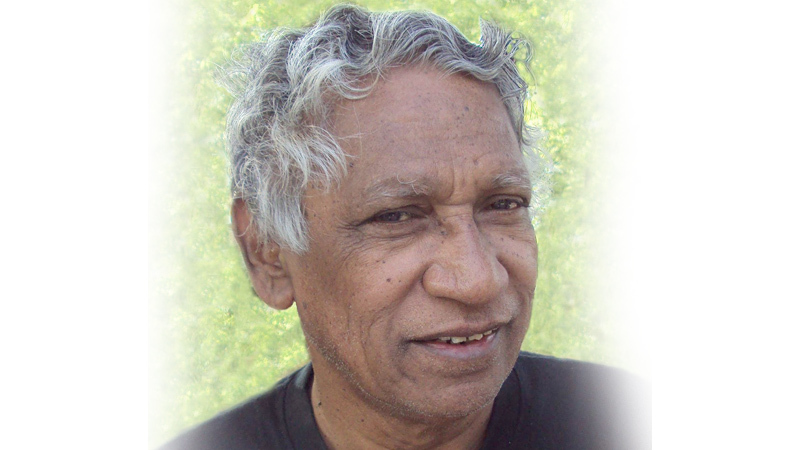 Then moving on to Dharmaraja College, Kandy, Pathiraja went on to graduate from the University of Peradeniya with an honours degree in Sinhala and Western Classical culture in the year 1967. He eventually received his PhD in Bengali Cinema from the University of Monash. Inspired by filmmakers such as Fernando Solanas and Glauber Rocha, Mrinal Sen, Satyajit Ray and Ritwik Ghatak, Pathiraja began his career in film in the 1970’s with a short 10 minute film titled ‘Saturo’ only to be followed by his much-lauded maiden film ‘Ahas Gauwa’ which explored the issues faced by youth in the city. The movie went on to win Film Critics’ and Journalists’ Association Awards (FCJAC) for Best Picture, Best Director and Best Actor while also winning the Office Catholique Internationale Du Cinema (Sri Lanka) awards for Best Film and Best Director. His artistic life spanning over 50 years were dotted with even more successful films such as Eya Dan Loku Lamayek, Soldadu Unnahe, Bambaru Avith, Mathu yam Dawasa, Sakkaran and Swaroopa which received local as well as international awards.